Introducing Status Royal Champions Lounge, a new standard in Premium, redefining exclusivity and access in Los Angeles. Only a select few can experience the players’ perspective. 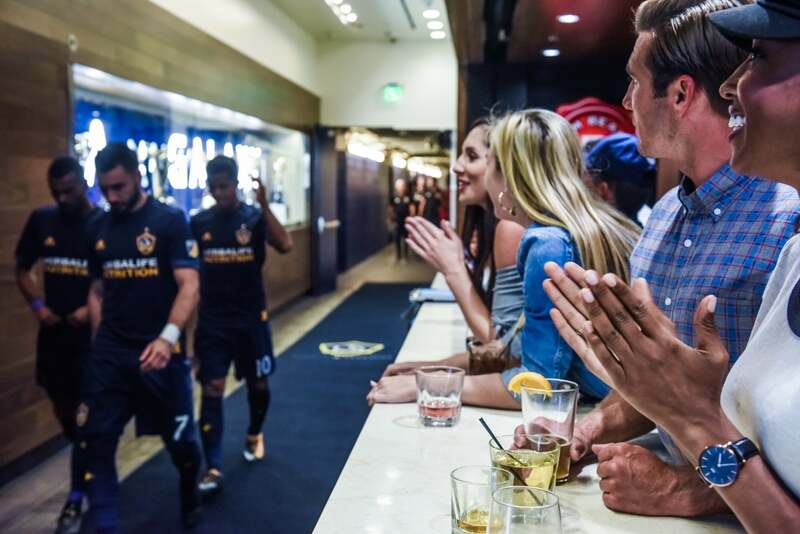 Nestled between the team locker room and the pitch, you'll watch the players take the field as you enjoy the all-inclusive atmosphere in style. (877) 604-8777 or by email. Limited Status Royal Champions Lounge memberships are available. For information regarding 2019 Premium Seating options, call 1.877.3GALAXY or email. For information regarding the Los Angeles Chargers premium experiences, click here.